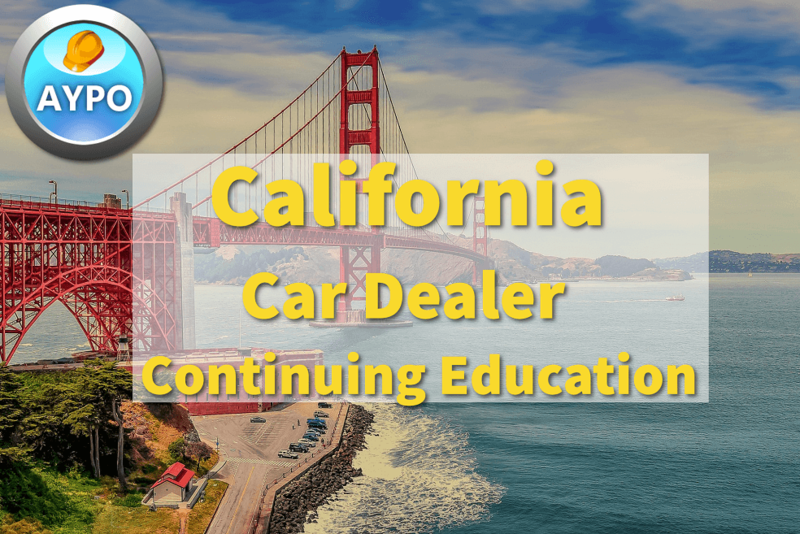 All licensed dealers must obtain 4 hours of continuing education every two years. Our program provides a full 4 hours of continuing education online in various topics for only $49.00. There are no membership fees. We only provide quality, pertinent training that will be beneficial to your business. Gain instant access to your class now! We will mail the original signed certificate to you within 5 business days of course completion. This test is very easy to understand and retain information. It's spaced apart perfectly so you can remember details of the rules and laws. Great website, easy to read. FULL OF GREAT INFORMATION. WAS EASY TO FOLLOW. Very professionally done and informative. I felt like everything was so repetitive, well perhaps thats why I passed with flying colors!! keep up the good work!! Greatly informative course. Simple to understand. Very informative! Great response when I needed to speak with someone for technical help during the course. EZ TO USE, VERY INFORMATIVE ! GOOD VALUE. Easy to follow. Easy to read. Will use again to renew license. Easy to use and took only 4 hours. Great course. Would highly recommend. Great information for Dealers and Customers looking to buy new or used car. Very concise, very informative and I learn something new every time I review. Simple, yet useful even for an experienced car dealer. IT WAS VERY HELPFUL TO GET THE INFORMATION THAT I HAVE TO REMEMBER. IT WAS GREAT AND VERY USER FRIENDLY! GOOD JOB! WELL STRUCTURED, INFORMATIVE! Very helpful. I was able to learn things I didn't know. Great course. Great information to help us stay on our toes. Thank you! I would of liked more visual aids and audio. It would be better if students did not have to read the material but that it was verbalized.